Serving You is What We do Best! Roy W. Singleton is director and general manager of the Florida Agricultural Marketing Association (FAMA), a wholly owned subsidiary of the Florida Farm Bureau Federation, which markets agricultural products across the country to over 25 states. In addition to promoting the Florida member-to-member marketing program, he travels extensively across the country working with other state Farm Bureaus, agricultural educators, FFA organizations as well as many civic groups to promote Florida Farm Bureau and Florida agriculture through fundraising and member service programs. Roy is a native of Alabama, where he attended Troy University and has been associated with Florida Farm Bureau and the marketing program since 1978. Roy and his wife, Amy have two adult daughters, Rebekah and Sarah Marie and 3 grandchildren. Chad Roberts is associate director of the Florida Agricultural Marketing Association (FAMA). He is responsible for the Florida member-to-member marketing program (Farm Bureau Buyers Club). Chad also assists in the overall operation of FAMA, which includes fundraising and state Farm Bureau sales. Chad is a graduate of the University of Florida with a bachelor’s degree in food and resource economics. He has been working for Florida Farm Bureau since October 2009. Chad and his wife Crystal, live in Eustis. Chad and Crystal have two sons; Cooper & Colby. 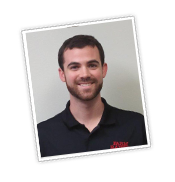 Nate Stewart is manager of direct marketing of the Florida Agricultural Marketing Association (FAMA). He is responsible for the Florida member-to-member marketing program (Florida Farm Bureau Buyers Club). Nate is a graduate of the University of Florida with a bachelor's degree in Agricultural communications. He has been working for Florida Farm Bureau since May 2015. Suzanne Makin joined Farm Bureau in March of 2015 as Assistant to the Operations manager. Suzanne's lengthy history of customer service experience comes from a diverse background in the retail and health care industries. Suzanne has one adult son. Jill Gonzalez joined the company in 2013 in the position of Customer Service / Administrative Assistant. After graduating from high school, Jill hit the ground running, joining the United States Armed Services, she spent six years serving our country before meeting and marrying her husband. She has also earned a degree in paralegal studies, graduating at the top of her class. Jill and her husband have two sons between them. Curtis Alls our Sales and Marketing Associate received his BS degree from VA tech in 1968. He worked for White House Apple Products until 1972; then with North Carolina Farm Bureau until 2004 as District Field Representative, Director of Field Services, Director of Programs and Director of Marketing Association. 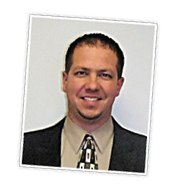 He has been Florida Farm Bureau ‘s Sales and Marketing Associate since 2004.